You are here: Home / Generators – Do you need one? And how to select the right one. Love them or loath them, they have their place. Granted, some tent based or short term campers may not need them, but there are many fulltime or long term travellers out there that have a genuine need for them. The first thing you should do is work out if you need one for your style of camping and then find the right one for the job. Many travellers these days love to get away for as long as possible, especially in the outback, and whilst solar is gaining popularity and in most cases the preferred option, the sun don’t always shine. So there are a few things that a generator can come in very handy for. When we built our motorhome and set out 5 years ago, we thought we were well prepared with an extensive solar setup, but I was encourage to make sure I had a backup generator, and I am glad I did. As much as we tried to follow the seasons we could not always guarantee the sun would shine. And, when we found some ideal spots out the middle of nowhere, it was great to know we could stay there longer because we had all the power we needed with the Genny as back up. It also meant we could set ourselves up in un-powered sites, which often meant a better location at some campgrounds. But, even with the great solar system we had, there were things it could just not run, like our washing machine or aircon. So, in our case, because we were planning on being fulltime, we felt a generator was a necessity, as do many other fulltime travellers. There are also many shorter term travellers who find them useful for times when they want to stay in the outback away from power for longer periods of time. Or, for those that are combining travelling and working on the road. So, if you have come to the conclusion that you need a generator, how do you go about finding the right one? Especially with so many on the market. It is no secret I am a Honda fan, and recently as you will see from our previous post, they, Honda asked us to try out their brand new EU22i. (See our Honda Review) But, there are many other brands and sizes on the market, and some do a better job than others. Below I have gone over a few important things to consider when making your decision. The first thing you should do in my opinion is to work out how many appliances you will need to run with your Generator. To do this, the best way is to make a list of all the items you will need it for. When I prepared my list I broke it up into 12 volt only items, and then 240 volt items. I found that if I could run as much as possible direct from 12 volts it was more efficient. Once you have your list, from either the appliance direct or its manual, you should be able to see the consumption in watts of that appliance. Some will give you a range, i.e. minimum to maximum. This can be the start up allowance factor, which I will describe down further. As a guideline, I have included some indications here for you of the most common appliances used in a caravan. Of course, these are just averages and each appliance will vary on make, model and brand. After you have your list, you can add up your total wattage consumption. You then need to establish if you really need to run or charge all these appliances at once, or if you can do a few at a time. Once you have the total, you can work out the size of your generator. If you don’t have many electrical appliances and just need a unit for charging your house batteries, you may find you will get away with a smaller 1000w unit. But, on average, you should find that in the majority of cases a 2000 watt generator will suffice with a 2200w unit being even better. Extremely heavy users may need to go to a 3000 watt unit but this should pull most users up. With any generator and electrical appliance, you should take into consideration the extra power some appliances will use on starting-up. When your first start up some electrical appliances they will use more electricity just to get the motor going. Air Conditioners without a soft start are notorious for this, and some power tools. Using very rough figures to explain it, this means that while they may run at say 600 watts once they get going, they may actually require about 1200 watts for the initial few seconds or so to get the motor going. Not all products will do this, but it is good to be aware of in the event you notice the generator reviving louder. Obviously, a generator with a bit more grunt can overcome this. For example, during the tests we recently did with the Honda EU22i we ran a washing machine which runs at up to 1500w at its maximum. We left the Air conditioner going as well as the battery charger and then also ran the stick blender which is 1000w. We left the Generator on Eco mode and it handled all the appliances at one time. Granted the noise level went up a few notches but it certainly was able to cope with the load and start up spike. My end conclusion was that I could have saved $500 on my cheap generator and should have put it towards a better generator in the first place, as I had to end up replacing mine after a few months. Like any piece of machinery, a generator is no different. They require regular services to keep them running efficiently. If you are mechanically minded, the services are quite easy to do yourself and consists mainly of changing the oil and replacing the spark plug, fuel filters and ensuring the air filter is cleaned or replaced. I am not going to go into full service details here, other than to mention how important it is to service any generator regularly. Each make and model will vary, but a good guideline is to service your generator every 50 to 60 hours, but some will allow you to extend this to 100 hours. You should consult your owner’s manual for specific details. If you are not up to doing it yourself, you can take it into a service agent and have them do it for you. The cost of a service is well worth it and may save you unnecessary repair bills in the future. Where to put it? Now that you have your generator, where do you put it when you are not using it? This will really depend on your set up. Most new caravans are now allowing for generators and incorporating generator boxes into the build. You can see in our video we had a New Age caravan which came with its own box. You can of course get them custom made to suit your set up. Bear in mind, it is best not to run your generator in fully enclosed boxes, unless they are specially built with adequate ventilation. If you don’t have a dedicated storage box, many caravans and motorhomes use their existing storage compartments, or we have seen many carried around in the back of the tow vehicle. They should always be stored and transported upright and it is best if you can secure them in the vehicle or RV with some form of tie down method to avoid tipping. Unfortunately, one of the more frequently stolen items is the Generator. We would highly recommend not leaving them out if you are out exploring for the day, and even when you are locked inside your van. We have heard of the odd Genny being either stolen or swapped over for a different model while the owners were inside watching TV. Ideally, a very strong chain with padlocks can help stop them walking away. If you have dedicated storage compartments, and depending on the model, it may be a good idea to tie it down with security cables or you can purchase special made custom theft brackets to secure it to your van or its compartment. It is a good idea to run your Generator from time to time rather than letting it sit idle. We tend to run ours every two or three weeks just to keep the fuel flowing and make sure it is still in good working order. There is nothing worse than going to use it when you need it most and finding out it won’t start. There is no set rule on how long to run it, but a good 10 – 15 minutes should be enough to heat it up. One of the biggest complaints about generators is the noise. 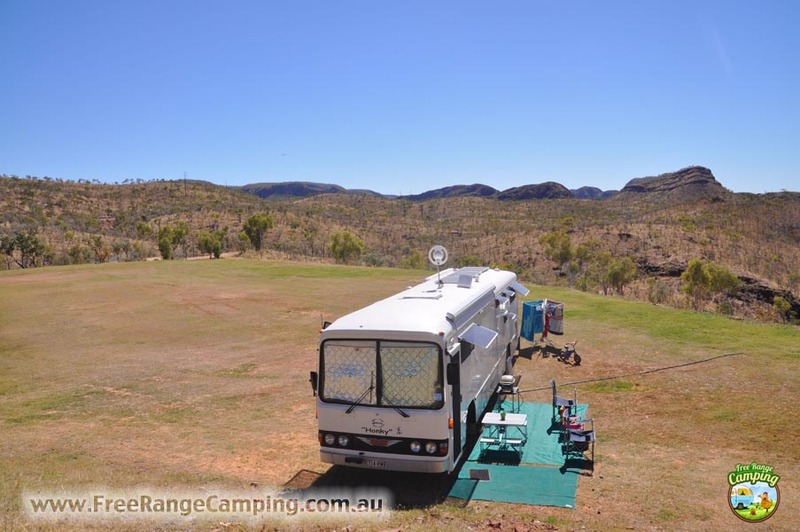 With some camper’s arguing, ‘if you need a generator you should not be camping.’ However, as I have outlined above, there are quite a few full time and long term campers out there that do need them from time to time. The obvious answer is to find a generator that is as quiet as possible, but there are also some unspoken general generator etiquette rules we can all employ to ensure we are not overly disturbing the neighbours. It all comes down to respecting each other. • It is polite to let your neighbours know that you plan on running your Genny and how long for. I usually tell our neighbours we are planning to do a few load of washing and charge the batteries, so we will have it running for about 2 hours. • Try to run it during the middle of the day or when your neighbours are out. • Pay attention to any rules where you are staying. Many places will let you use them but only during certain hours, be respectful of this and it will make it easier for everyone. • Try to avoid using them all day. Whilst most people can accept they will be used for say 4 to 5 hours at a time, we have been beside someone who has used it in excess of 12 hours at a time. Please bear in mind, this article is written from my point of view. I am not a qualified electrician or generator expert, nor do I profess to be. It merely based on my own experience and research. It is intended as a guide only and prior to purchasing your own generator I would encourage you to make your own inquires and make sure you pick the best one to suit your budgets and your needs.